There is a new central repository for all your Red Hat JBoss BRMS and Red Hat JBoss BPM Suite demo project needs. Not only will you find a complete listing of available demo projects to get you started with these products, but you will find much more. There is a JBoss BRMS starter kit. 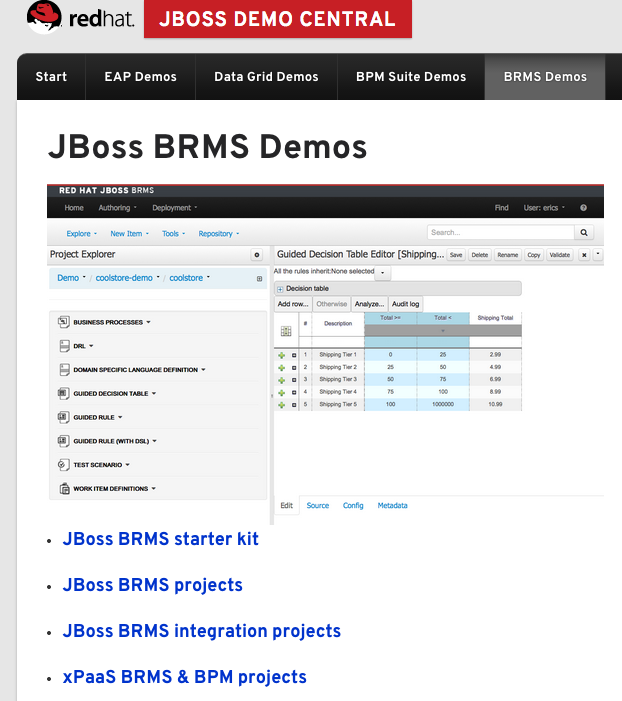 There is a JBoss BRMS xPaaS list of projects now available for use with OpenShift on our brmsPaaS. There is a JBoss BPM Suite starter kit. 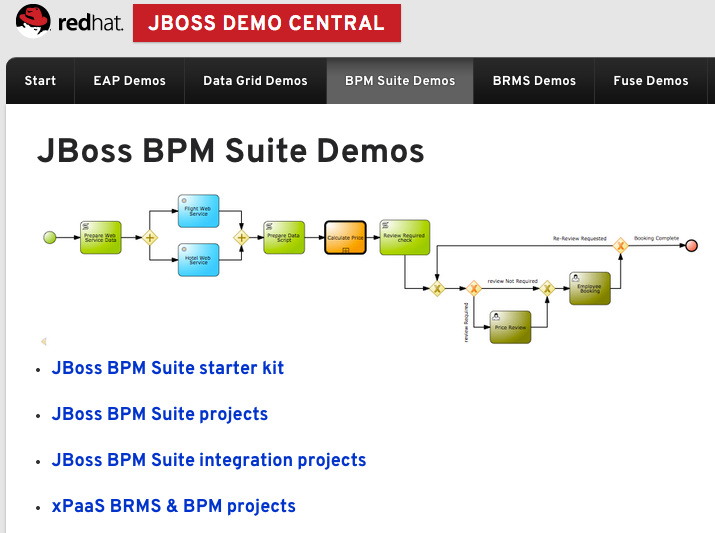 There is a JBoss BPM Suite xPaaS list of projects now available for use with OpenShift on our bpmPaas. Be sure to put a watch on this repository as there are also pages of information that are coming soon around JBoss EAP, JBoss Data Grid, JBoss Fuse, JBoss Data Virtualization and JBoss Fuse Service Works.